Talk From The Rock Room: My Old Familiar Friend-Brendon Benson's "What Kind of World"
Freelance Writer from Upstate NY ranting about bootlegs, guitars, classic rock and records. My Old Familiar Friend-Brendon Benson's "What Kind of World"
Spinning in the rock room today, is in my opinion the best modern day songwriter, Brendon Benson. With the release of his 2012 LP “What Kind Of World”, Brendan has again crafted a melodic and eclectic collection of songs. While I believe this LP is a more disjointed effort than 2009’s “My Old Familiar Friend”, I do feel its a better record. Any nonconformity among the tracks is because of Brendan’s never ending search for originality through experimentation in his songwriting. Brendan is often found languishing in the shadow cast by fellow “Raconteur” band mate Jack White’s extreme popularity. With “What Kind Of World” it is obvious to me that Brendan has not only met the standards set by Jack White, but in many ways toppled those standards. Brendan’s gift for crafting unique melodies, in addition to his soothing and honest voice are characteristics I believe set him apart from his cohort. “What Kind Of World” is a statement that shows Brendan in the perfect space, and able to craft a song in any style that suits him. This LP was released in May on Brendan’s Readymade label and immediately received multiple spins on my turntable. I must say that after a couple of months off, this album has grabbed me again, and has improved with its age. I drop the needle on the opening track of the LP, which is also its title track. 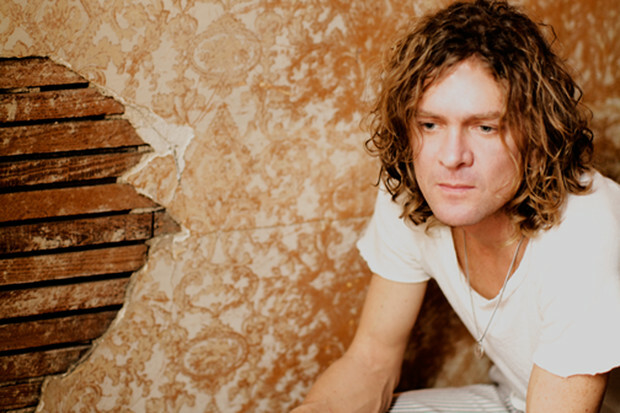 “What Kind Of World” sets the stage similarly to other charged Brendan Benson album openers such as, “Folk Singer”, “My Old Familiar Friend”, and “Spit It Out”. The song starts as a simmer and moves through the verses slowly reaching a rolling boil. The tune makes a fitting LP opener, and the perfect introduction to the rest of the tracks. “Bad for Me” is the second track on the LP and in another time and place could be a career defining song for Brendan. What I mean by this, is that in this age of singles and mp3’s, “Bad for Me” is destined to languish as an LP song. Only fans who buy the album will ever have the opportunity to hear this amazing work. This is unfortunate because “Bad for Me” is a lush stroke of pop melodism that makes me think of McCartney or Badfinger’s Pete Ham. These artists are responsible for such towering rock ballads as “Maybe I’m Amazed”, and “Without You” respectively. It’s rare to find a song with such a stellar combination of lyrics, vocals, and production. Following “Bad for Me” are two examples of the perfect rock songs, “Light Of Day”, and “Most Of The Time” which harken back to Brendan’s earlier albums, “Lapalco”, and “Alternative To Love” with their arrangements and“power pop” sensibilities. “Light of Day” starts with a purely Brendan Benson phased guitar intro which contrasts the dark vibe of the lyrics. Feel, lyrics, and hook, this tune has it all. “Most Of the Time” immediately gets me going, and is a shining example of Brendon at his best lyrically and musically. The verse, “The last time I checked I was about the size of an insect, with just about as much to say”, hits me where it counts as Brendan scats the lyrics across the swelling groove. Before I can catch my breath, “Keep Me” slithers out of my speakers with a tender funk which frames the verses sung by Brendan and Young Hines. The middle eight of this tune is one of the special moments on side one, and is a goose bump moment for me. Side one comes to its glorious conclusion with the psychedelic swamp sounds of “Pretty Baby”. The syrupy tribal pulse of this song leaves me no doubt as to who was responsible for some of the production specialties on the two Raconteurs LP’s. This is a very heavy and atmospheric way to close side one, leaving me with a swell of anticipation, as I flip the record to side two. The flip side of the LP starts with “Here in the Deadlights” which began its life as a candidate for the “Raconteurs 2008 LP “Consolers of the Lonely”. This song feels right at home on Brendan’s album, being a great way to set the stage for the songs to follow. The high energy continues with “Met Your Match” which feels like it moves at a furious rate, even with the well thought out verse that takes its time. The track listing of this LP is incredibly effective, and illustrates Brendan’s love toward the medium of vinyl. Making me feel like a stumbling drunk with its sideways groove, “Thru the Celing” is another gem in this LP of glistening stones. Brendan’s voice soars over the levitating chorus “I’m weightless, I’m shapeless, I’m invisible”. I’m starting to think side two of this record is where it’s at! This assertion is supported when “No one Else but You” quietly tip toes in, flaunting its very “Wings” vibe. I think to myself, “I’m so happy music is still this good!”. Only Brendan can compose a song with a melody this powerful, and sing it with such conviction. This may be his best vocal performance of the record. Absolutely stunning. “Come On” blasts me back to reality with a big fuzzy bass and stellar instrumentation. Again, I feel that this is a nice placement for this song in the track listing, and a fitting lead in to the LP closer, "On the Fence". “On the Fence” is a swinging, smoky, campfire stomp that sounds like a long lost Gram Parson’s track. This is also due to the vocals of Ashley Monroe who also lends her abilities to this song and “Pretty Baby”. Brendan is a master of whatever genre he chooses to work with. “On the Fence” is a great upbeat close to the album, that finds me satisfied and flipping the record back to side one for more. “What Kind of World” is a dramatic and diverse collection of songs that illustrate Brendan Benson at the peak of his musical maturity. I will refer to this record as a “grower”, a record that will sneak inside your room in the middle of the night, whisper its melodies in your ear until it is a part of your consciousness. It’s clear to me Brendon has fully developed his own sound, and I can’t wait to see where it goes next. There are intricacies and dynamics contained on this record that other artists have either forgotten about or are too lazy to use. “What Kind of World” is a record that gives me faith in where rock is, and where rock is headed. I f*ckin' love Brendan Benson!!! Great blog! Steve - Great review. I'm finding this album a "grower" with me too. At first I thought it wasn't the album BB needed to release but as it's been spinning up on my iTunes I keep going back to it. All images, lyrics and music belong to the artist and creator of each respective piece. They are posted here for educational and promotional purposes only. If for any reason you as the owner of any of the aforementioned would like any media removed please contact me. All due effort is given by the rock room to credit photographers/artists when able. All rock and roll ranting is property of the rock room. Author Stephen Lewis. Simple theme. Powered by Blogger.